Celebrate all month long with these birthday studs! 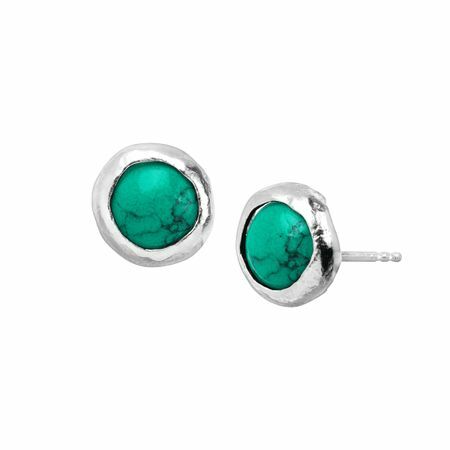 Blue-green turquoises are bezel-set in sleek sterling silver, making these the perfect treat for yourself or the December-born in your life. Earrings measure 3/8 by 3/8 inches and feature posts with friction-backs. Pieces come with “.925” sterling silver quality stamps as symbols of guaranteed product quality.